Olde Green Cupboard Designs: Yippee !!!! Patterns posted!! I'm sure you are all probably sick and tired of hearing about these patterns and fabric we are working on... HOWEVER... it is a monumental event in the life of Olde Green Cupboard Designs! Vicky is sewing her little fingers to the bone.... Heather is editing all of the pattern photography... and I'm writing the pattern contents. Well, yesterday Heather and I (mainly Heather) did tons of editing and here is the result of our six new patterns! All made from our County Londonderry fabric - Marcus Brothers Fabric!! 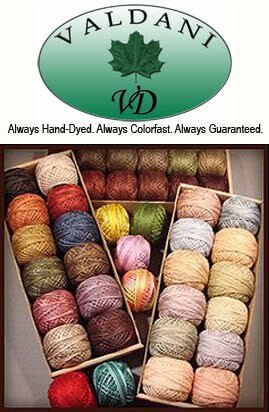 You can visit our website NOW Olde Green Cupboard Designs Website and pre-order your pattern(s) for September delivery!! 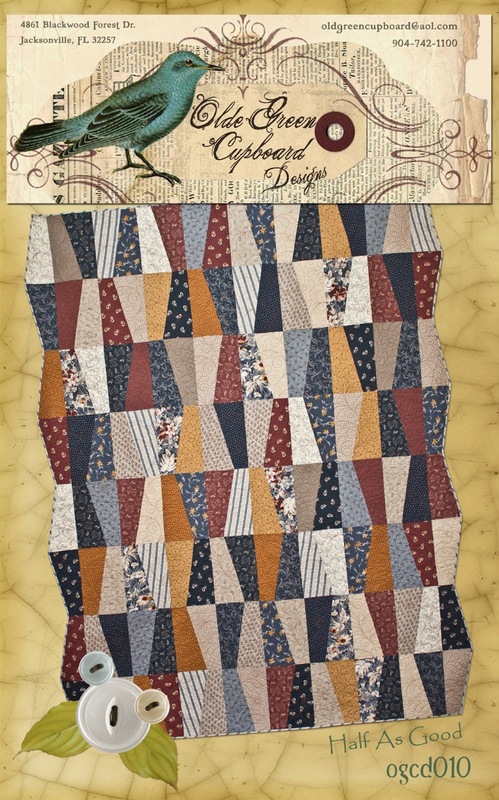 Our fabric - County Londonderry will be arriving at Cinnamon's Quilt Shoppe in the September/October time frame! So.. this weekend - I'm cleaning up my sewing studio... have you noticed I have to do that quite OFTEN!! I can win any contest out there on "who can trash their sewing studio the fastest" !! Hands down... I'm the winner! 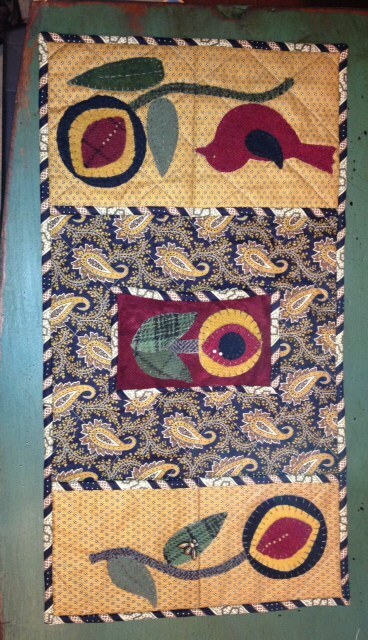 Then I have the binding to finish on my CRUISE QUILT - "Christmas Peace" ! 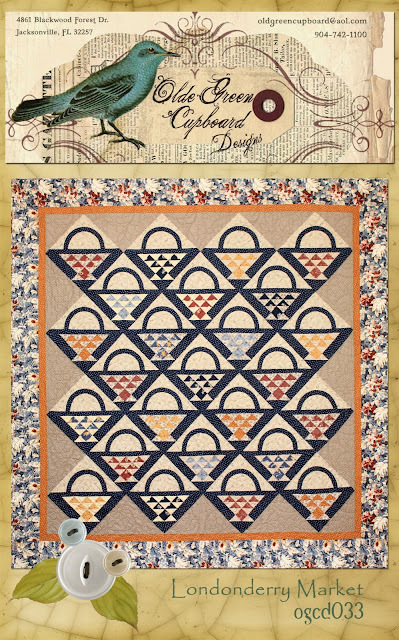 I adore this quilt...it's just the right size...not too big... not too small... a perfect project! It will look wonderful hanging in my foyer. It's great for all year round... after all... who doesn't pray for "Peace" in this world? I sure do... maybe we all need to pray a little harder for it... don't you think? I'll post more information on our cruise this weekend! Important information for all of you!!! 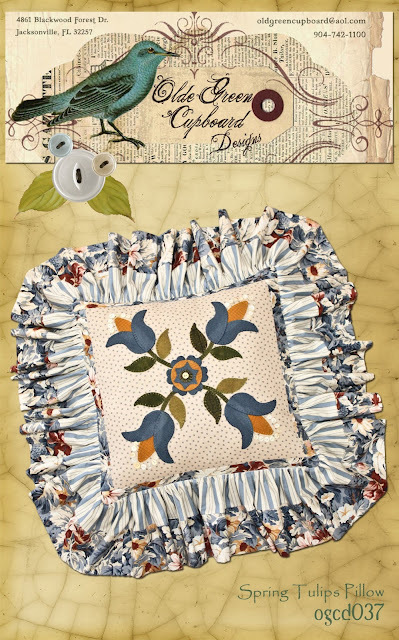 Today is B-a-a-a-d Girls Club at Cinnamon's Quilt Shoppe Cinnamon's Quilt Shoppe We will be working on our Armchair Sewing Cozy over the next two months. I'm always so excited to see what fabrics the girls all pick out for their projects! I love mine...then I see what they choose and I like theirs BETTER!! What's up with that anyway! Darn it! I have always wanted one of these sweet things... and I'm here to tell you... mine has taken permanent residence on the arm of my sofa... right next to my floor Ott Light - right next to my handwoven basket where I house my current project!! You know what I always say!!! "Celebrate Handmade" !!! I'm off to get everything packed up and ready take with me! Have a super day... and get some stitchin' done!